I Remember the Future...: Artemis. Anestis Delias (Ανέστης Δελιάς, aka Artemis / Αρτέμης) was one of the most iconic, as well as tragic, figures of Rempetiko culture. He was born in Smyrna, Minor Asia in 1912. He was coming from a family of musicians as his father, grandfather and uncle were talented popular musicians. 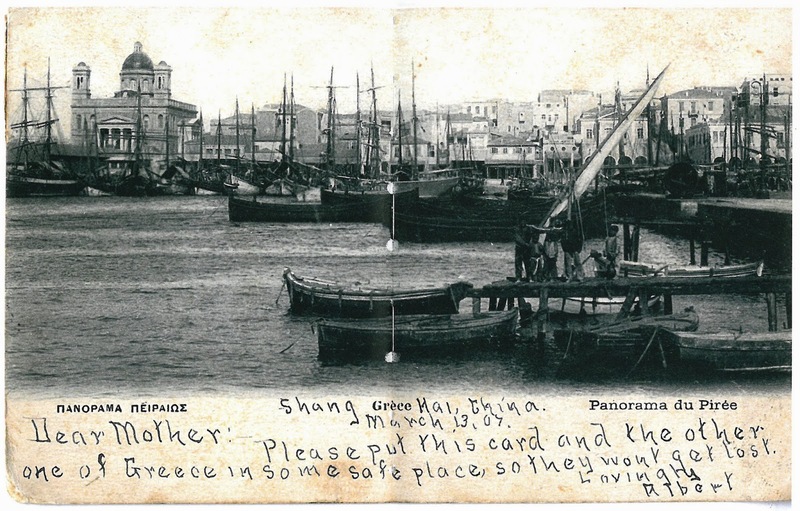 After the catastrophe of Smyrna in 1922, his family moved to Drapetsona neighborhood of Piraeus. There, he soon connected with other Rempetiko musicians as Markos Vamvakaris and Stratos Pagioumtzis among others. Anestis was a talented musician himself. He was playing the bouzouki and baglamas but he was also a singer and composer. He composed only 13 songs -diadems of the Rempetiko genre- during his life, all of them during the period 1935-1938. In the late 30s he started to get addicted in heroin and beside the efforts of his friends to help him quit the junk, he never overcame this problem. According the most accurate sources Anestis died of heroin overdose on the 31st of July 1944. He was only 32 years old! 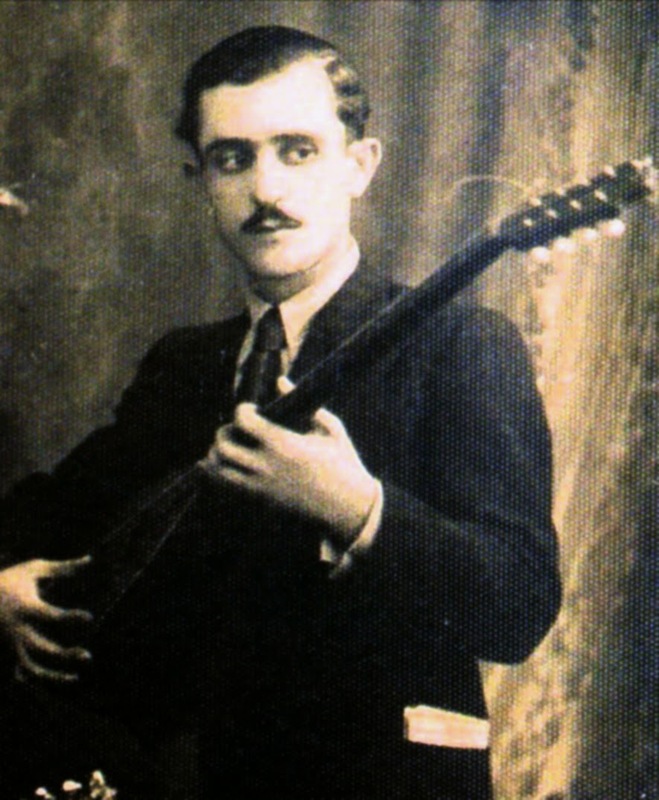 "Anestis Delias was a good Bouzouki player, he was singing too, he was a cool guy. He had a steady, who was prostitute, in Vourla. She was a junkie but he had no idea about it! They were living together in a small booth in Chiotika, in Agios Dionisis. As Anestis was sleeping -she was liking him of course- she wanted to make him hers. She made him a "Yioux", (we take a paper and we roll it like a cone as we do with cigarettes). As he was sleeping she was watching how he was breathing... That's how he was taking heroin! In the beginning he hadn't understood it. The fourth time, he got up, he was feeling cold, his stomach was hurting. -He told me himself- He said to her "Koula something going on, i don't know what. Give me some clothes" - " Don't worry, you are fine. I will give you a powder which will make the cold go away!" As he took it he felt so much better in a short time. Next day he was feeling seek again. He thought lets take this again to see if i will feel better. 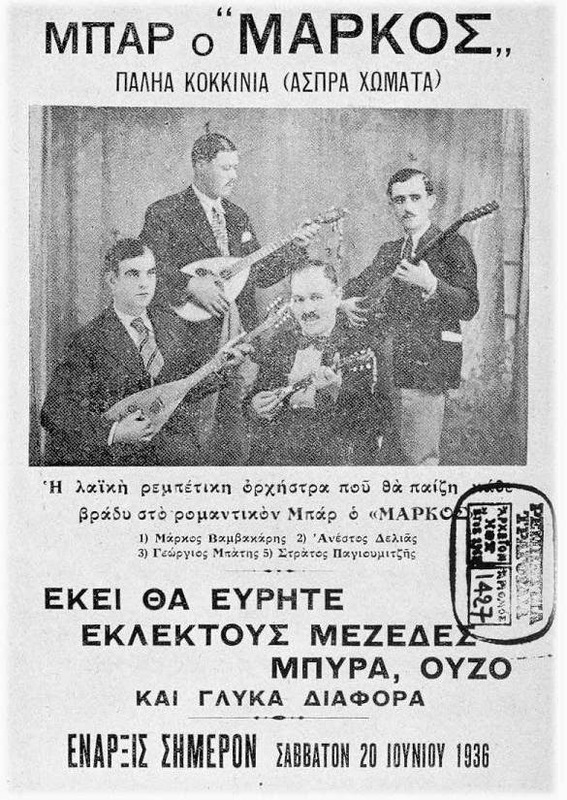 That's it... One, two, three she turned him into a junkie..."
The famous Rebetiko Quartet of Piraeus. "Back in the days we were playing together with Delias, Stratos and others in the basement of "Vlachos" in the corner of Zinonos & Deligiorgi streets, in Athens. Almost every day he was taking heroin. We couldn't catch him! That night he went in "Ntanakoulis" Teke in Metaxourgio neighborhoud of Athens, where he used to hung out. Late at night, as he was about to leave he was looking like a wreck. He stayed there, just outside of the Teke. Next morning he was found dead by the police's cart operators. He was holding his bouzouki in his hands..."
Αναρτήθηκε από Død στις 8:54 μ.μ.